Kiwi needed to engage customers, strengthen their brand, and grow their followers with email marketing. 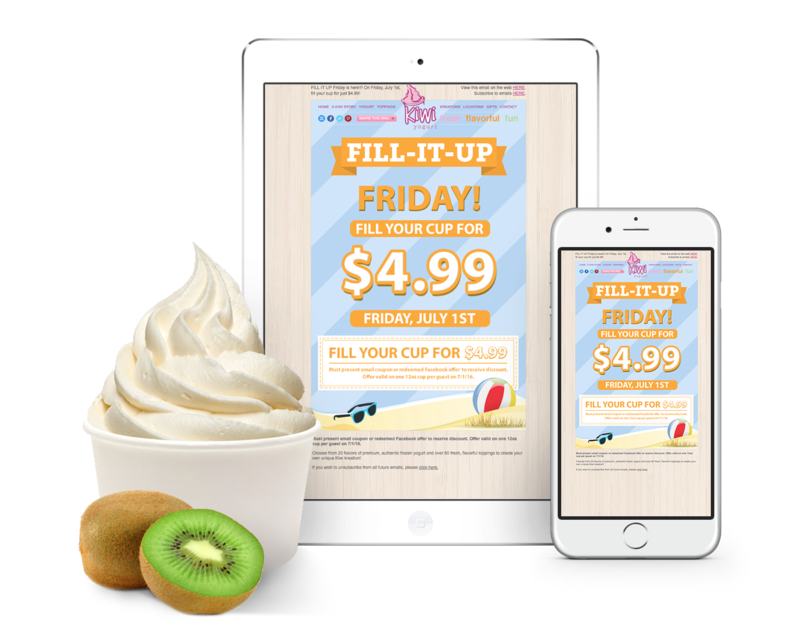 Kiwi Frozen Yogurt is constantly looking for new ways to make their clients happy and increase their brand identity. As a family owned and operated company, Kiwi believes it is important to remind their clients how much they care. 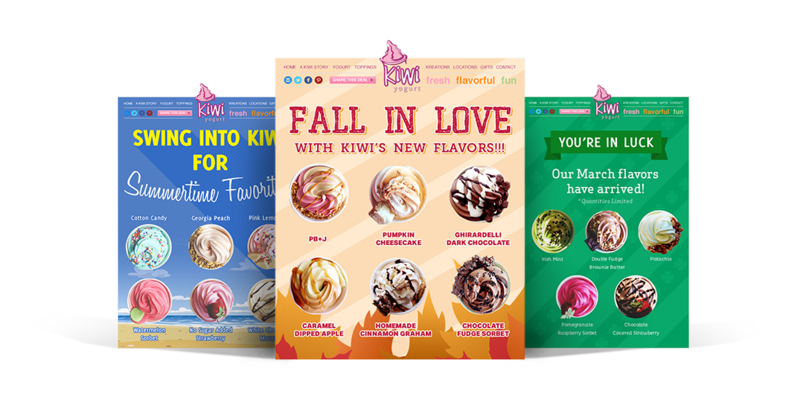 SharpHat’s goal was to provide Kiwi with an easy way to provoke interest with their client base and continue building brand identity while boosting a social media following. As easy as it is to create an email marketing campaign, developing a successful one can be a challenge. The difficult aspect is creating a campaign that doesn’t end up in the trash or the spam box. From our experience, the only way to do this successfully is provide recipients with a valuable product that allows the brand to thrive and expand at the same time. SharpHat knew that Kiwi’s clients remain loyal due to the personal touch a family run business like Kiwi has to offer. Our goal was to promote that through personal emails, offers and strong branding. 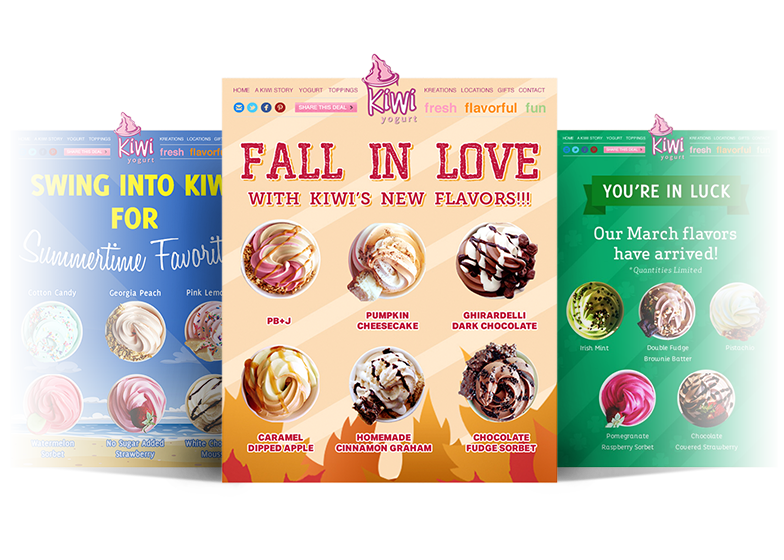 Over the years, Kiwi’s email marketing campaign, designed and developed by SharpHat has increased sales, visits, followers, and loyalty with their existing and potential clients. SharpHat helped Kiwi find the right balance between promotion and genuine care when it came to digital marketing and because of it their brand has grown.